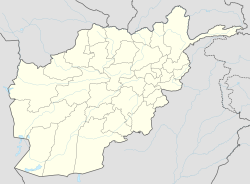 Asadabad or Asad Abad (Pashto: اسدآباد‎ - Asadābād, Persian: اسدآباد‎) is the capital city of Kunar Province in Afghanistan. It is located in the eastern portion of the country adjacent to Pakistan. The city is located within a valley at the confluence of the Pech River and Kunar River between two mountain ridgelines running along both sides of the valley from Northeast to Southwest. Asadabad is in a mountainous region of the Hindu Kush mountains about 13 km (eight miles) northwest of the Pakistani border and 80 km (50 miles) northeast of Jalalabad, Afghanistan. Asadabad deals with a moderate amount of trade goods. Nawa Pass, that lies about 16 km (10 miles) south of Asadabad, is the next major border crossing point north of the Khyber Pass for the region. The pass is under constant observation due to its relative ease to cross for commerce and its potential usage for smuggling and Taliban insurgents. 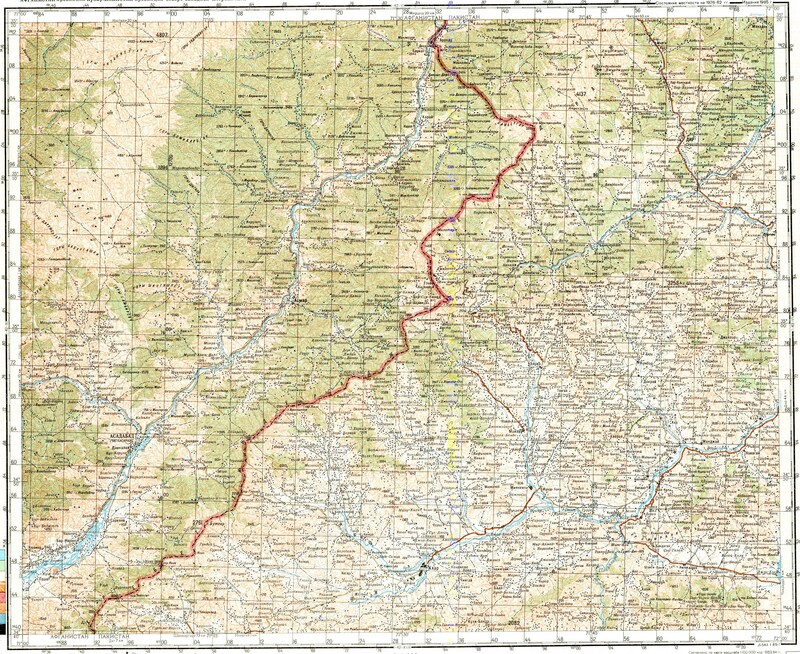 The surrounding Kunar Province lies near the historic routes connecting Central Asia, India, and Iran, such as the Silk Road and the Grand Trunk Road through the Khyber Pass, as well as routes through the Hindu Kush mountains. Asadabad lies at the confluence of the two major rivers of the area, the Kunar and the Pech. The region would have come under the borders of various empires of the ages, including the Achaemenid Persians, the Greco-Bactrian Kingdom, etc. It was very close to the paths Alexander the Great passed by on his way from conquering Persia to invading India. Asadabad is also on the eastern boundary of what was Kafiristan - part of Afghanistan not converted to Islam until the 1890s. In the past, the area near Asadabad was called Chaga Serai, with various spellings (Chega Serai, Chagasaray, Chigur Serai, Chughansuraee). Emperor Babur (late 15th century/early 16th century) claims to have taken over the town as part of his military campaigns in the area. He describes it very briefly in his book, Baburnama. He also mentions relations with the Kaffirs, whom he claims helped defend the town against him. In the late 19th century/early 20th century the capital of the region was moved from Pushoot/Pasat/Pasad to the present Asadabad location. Over the 20th century, various technical improvements were made such as roads, a shopping area, schools, a bridge, a gas station, etc. In the opening times of the Soviet Afghan war (1979-1988), Kunar province saw some of the first rebellions against the communist People's Democratic Party of Afghanistan. As punishment, PDPA troops with Soviet advisors massacred the males of the nearby village of Kerala, burying their bodies in a field near the Pech river. Asadabad was later linked to a Soviet military base during the war, which included Spetsnaz. Several Russian websites, like http://asadabad.ru, contain discussions and photos regarding this era. The rebel Mujahideen later took over the town from the Soviets. Gulbuddin Hekmatyar's Hizb-e-Islami, one of the Peshawar Seven groups, had heavy influence in the area. Osama bin Laden also spent time in Asadabad. Asadabad has a hot-summer Mediterranean climate (Köppen climate classification Csa). In winter there is more rainfall than in summer. The average annual temperature in Asadabad is 19.4 °C (66.9 °F). About 532 mm (20.94 in) of precipitation falls annually. About 10% - 15% of the valley surrounding Asadabad is used for agriculture by using an ancient land development technique called terracing. However, flooding and erosion have been an issue in the past. The primary crops are wheat, rice, sugarcane and vegetables. Multiple international agencies are assisting with these issues and other issues throughout the province. In January 1979, a large guerrilla force, reported by the contemporary press - estimated - at 5,000 strong, attempted to capture the town, which was the headquarters of the Afghan Army's 9th Division. In 1985, in the Battle of Maravar Pass the Afghan Mujahideen killed 31 Soviet troops in an ambush. On 20 April 1991, the marketplace of Asadabad was hit by two Scud missiles, that killed 300 and wounded 500 inhabitants. Though the exact toll is unknown, these attacks resulted in heavy civilian casualties. The explosions destroyed the headquarters of Islamic leader Jamil al-Rahman, and killed a number of his followers. In 2001 the War on Terror began with the invasion of Afghanistan, including Kunar Province. Forward Operating Base Camp Wright was set up a few miles south of Asadabad. According to an Army article, the camp was originally built by the Soviets. Kunar province's main marketplace now has more than 600 stores, up from 100 just three years ago. Provincial Reconstruction Teams (PRTs) have constructed 16 schools, 20 medical clinics, and 8 district centers. PRTs completed construction on 13 roads and 11 bridges. Agribusiness Developmental Teams (ADTs) have several evolving projects and over 10 demonstration farms. Jalalabad-Asmar and Pech River roads have cut travel times in half and connected Asadabad centers of commerce with Jalabad. The Afghan National Police provide security for the city and district. There is also the International Security Assistance Force (ISAF), led by the United States armed forces. It is not only helping the Afghan government to develop the area but is also training the Afghan National Security Forces (ANSF), including the Afghan Border Police and the Afghan Armed Forces. Asadabad is the birthplace of Jamal-al-Din Afghani. The town hall in Asadabad is named after him. U.S. Navy Lieutenant Michael P. Murphy was posthumously awarded the Medal of Honor for his actions during Operation Red Wings, which took place in the mountainous terrain near Asadabad from June to July 2005. A man named Abdul Wali was tortured to death by CIA contractor David Passaro at the nearby US military base in 2003. Wali had brought himself in for questioning regarding the rocket attacks on the base, at the suggestion of the provincial governor, who told him he wouldn't be harmed. Passaro was later convicted of assault after 82nd Airborne Division troops testified against him. He received 8+ years in prison. ^ "Asadabad (Afghanistan)". Silobreaker. June 14, 2009. Archived from the original on June 16, 2009. ^ United States Army Sergeant Moeller, Matthew C. Combined Joint Task Force 82 Public Affairs (November 2009). "Pakistan, Afghanistan, and the United States Agree: Cooperation is the Key to Success Along Border Pass" (PDF). The DISAM Journal. Retrieved July 22, 2017. ^ a b Girardet, Edward (August 8, 2012). Killing the Cranes. Chelsea Green. ISBN 9781603583190 – via Google Books. ^ Edwards, David B. (2002). Before Taliban: Genealogies of the Afghan Jihad. The Regents of the University of California. University of California Press. Part II. ISBN 9780520926875 – via UC Press E-Books Collection, 1982-2004. ^ Bearden, Milton; Risen, James (2004). The Main Enemy. Random House. ISBN 9780345472502 – via Google Books. ^ "The Journal of the Royal Geographical Society". 42. Royal Geographic Society. 1872: 190 – via Google Books. ^ Burnes, Sir Alexander (1843). Cabool: A Personal Narrative of a Journey To, and Residence in that City, in the Years 1836, 7, and 8. J. Murray – via Google Books. ^ Beveridge, Annette Susannah (1922). The Babur-nama: Memoirs of Babur. Luzac & Co. – via Internet Archive. ^ "Asadābād". iranicaonline.org. Encyclopædia Iranica. August 16, 2011. Retrieved July 22, 2017. ^ a b Adamec, Ludwig W. (November 10, 2011). Historical Dictionary of Afghanistan. Scarecrow Press. entry Spetsnaz on page 403. ISBN 9780810878150 – via Google Books. ^ Robertson, Phillip (September 6, 2002). "U.S. airstrike near Asadabad". Salon. Retrieved July 22, 2017. ^ Urban, Mark (1988). War in Afghanistan. Houndmills, Basingstoke, Hampshire: Macmillan Press. p. 27. ISBN 978-0-333-43263-1. Urban cites The Guardian, 8 January 1979. ^ Lewis, George N.; Fetter, Steve; Gronlund, Lisbeth (March 1993). "Casualties and damage from Scud attacks in the 1991 Gulf War". Defense and Arms Control Studies Program, Center for International Studies, Massachusetts Institute of Technology: 13 – via Digital Repository at the University of Maryland. ^ Maginot, Lisa (February 7, 2013). "Team building on an Afghan mountainside". army.mil. U.S. Army. Retrieved July 22, 2017. ^ "Fact Sheet: Making Afghanistan More Secure with Economic and Reconstruction Assistance". The White House: President George W. Bush – via Internet Archives. ^ Safi, Louay (1995). "From Reform to Revolution: A Critical Reading of the Political Discourse and Actions of the Islamic Movement in Egypt". Intellectual Discourse. 3 (1). Archived from the original on August 20, 2011. ^ Eschapasse, Baudouin. "Le vent de la révolte souffle au Caire" [The wind of revolt blows in Cairo] (in French). Archived from the original on 2007-01-29. ^ "Karzai seeks end to war on Afghan soil". Pajhwok Afghan News. March 12, 2011. Retrieved July 22, 2017. ^ "CIA worker is jailed over beating". BBC. February 13, 2007. ^ de Benedetti, Chris (August 17, 2012). "Union City adds new 'sibling' to its list of sister cities". East Bay Times. Digital First Media. Retrieved July 22, 2017. Wikimedia Commons has media related to Asadabad. This page was last edited on 13 January 2019, at 05:45 (UTC).